SILER CITY - Start a conversation about fixing hydraulic hose blowouts, replacing O-rings and welding broken rock-crusher teeth and you�ve got Jeronimo Prieto Medina�s attention. That�s the kind of hands-on work he loves. For 11 years, he used his skills to maintain and repair heavy equipment as an employee for several companies. In 2009, he started his own company, JP Mechanic and Welding, working out of his Siler City home. In the early 1990s, Prieto Medina hadn�t even finished high school, but he determined to change that. He enrolled at Central Carolina Community College�s Siler City Center and earned his GED high-school equivalency diploma in 1995. He then enrolled in the industrial systems program at the college�s campus in Sanford, working full-time while earning certificates in welding, hydraulics and maintenance. That prepared him to repair heavy equipment, such as excavators, scoops, and graders. From 1998 to 2009, he worked for several companies that used heavy equipment and needed skilled people to maintain and repair them. He enjoyed the work but wanted something more. One of the companies he had worked for ran into financial trouble with the recession and offered him a Chevy Super Duty truck at a good price. He snapped it up. He thought he was all set with the skills, equipment and truck he needed - except he had no idea how to set up and run a business. That was when the Small Business Center at Central Carolina Community College in Chatham County came into the picture. He contacted the Chatham Chamber of Commerce for help and they referred him to Gary Kibler, the SBC director. Kibler was able to tell him all that he had to do and direct him to the right people and offices to do it, from registering his business to setting up a business bank account and keeping financial records. Together, Medina and Kibler developed a pro forma profit and loss analysis, which Kibler called �sort of a sanity check� to determine that buying the truck and setting off on his own could make sense, with reasonable assumptions about developing a base of clients. He got his license to work as a business in Siler City, but Kibler recommended getting a state business permit also, so he could offer his services over a larger area. He did so and now does most of his work in the Durham-Raleigh area. He spends a lot of his time on the road, responding to calls on his cell phone, calls from companies that need him, his work ethic and his skills to keep their heavy equipment working. JP Mechanic and Welding company can be reached at (919) 650-7438. 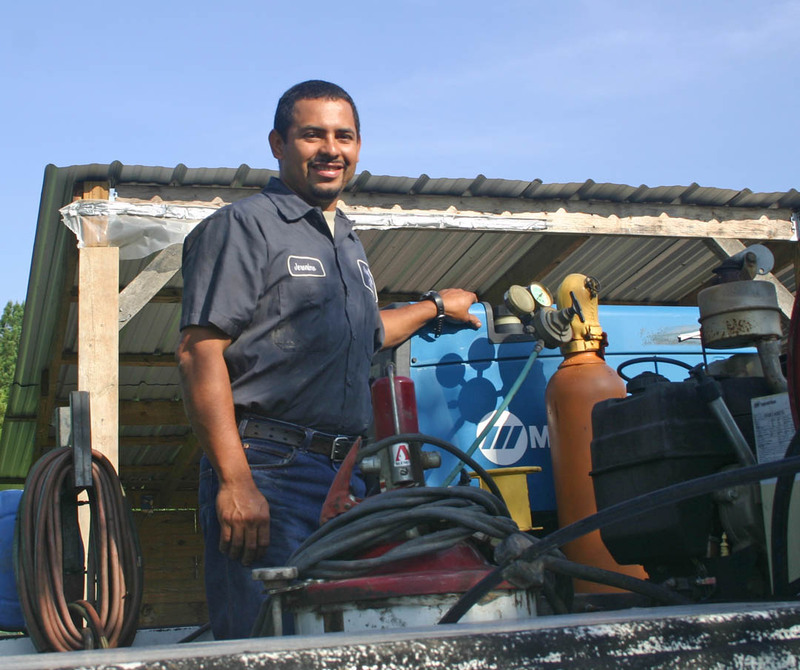 Jeronimo Prieta Medina stands in his truck bed, surrounded by the equipment he uses in his heavy equipment repair business, JP Mechanic and Welding, based at his Siler City home. He earned certificates in welding, hydraulics and maintenance at Central Carolina Community College, which enabled him to be an in-demand employee for several heavy equipment companies. 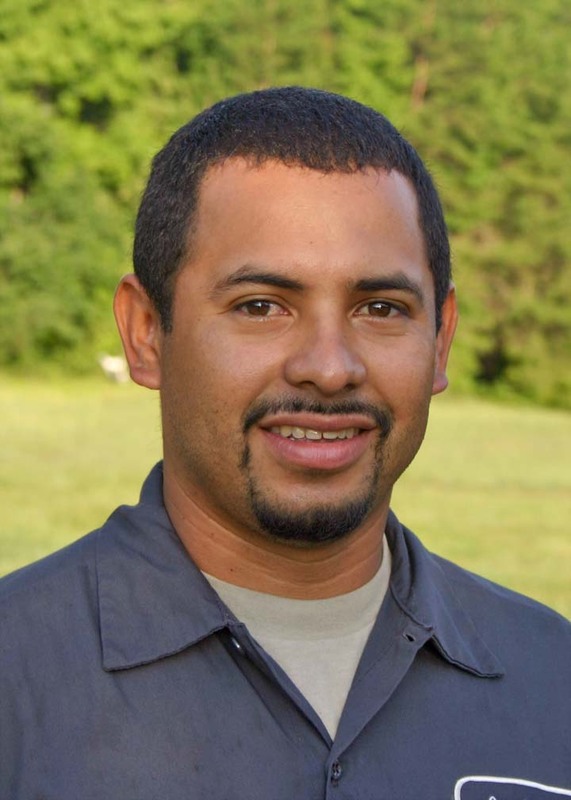 In 2009, he went to the college�s Small Business Center in Chatham County and learned how to establish and operate his own successful heavy equipment repair business. He works hard, but enjoys being his own boss. The business can be reached at (919) 650-7438.